Boston Marathon Taper. The Last Long Run. One week to go. Next Monday morning I will be getting dressed and ready to get on the bus to the Athlete’s Village for the Boston Marathon with my teammate Sarah (#teamstonyfield). The last time Sarah and I rode the school bus together we had just finished an amazing day racing at the Eastern States 20 Miler. I can’t wait! All of the hard work is complete and this last week of the taper will be all about getting rest, eating plenty, sleeping a lot and only a little bit of running to keep my legs feeling tunes up and ready to go. 12 Miles to go . . . This weekend I have had a minor sore throat which I am chalking up to allergies. Even though it has been cold the grass is actually turning green (yes) and the trees are starting to bud (no! an allergy sufferers worst nightmare) There is no time to get sick now. I have been getting extra sleep and loading up on my allergy meds in hopes of chasing it away. Today was the last long run on the training schedule until my next training schedule begins for this summers big race the Timberman Ironman 70.3. Perfect New Hampshire running weather! 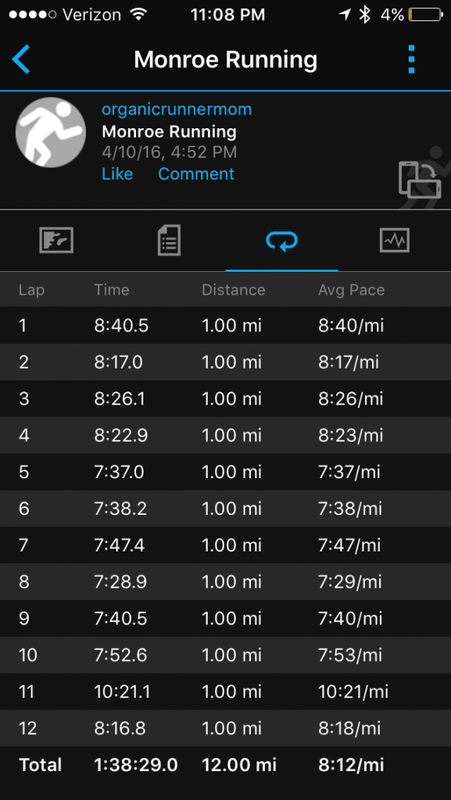 For the long run it was a 12 miler with 6 miles at 8:30-8:45 min/mile pace and 6 at marathon goal pace. I decided to do my long run in the afternoon to give the temperature a chance to warm up and got the gift of a perfect afternoon for a run! I have been running a lot near my home as the convenience of heading out the door eliminates unnecessary drive time and time away from home. 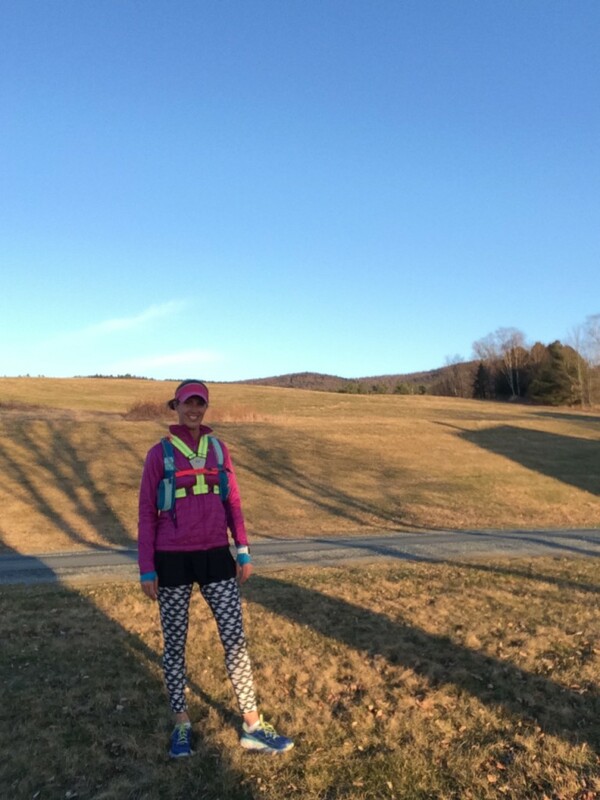 I have been loving the out and back runs from my house because they offer many of the challenges that you might find on a marathon course, rolling hills, flats, nice downhills and of course some monster hills. Since there is an almost mile long hill near the end of my run I decided to run the miles 5-12 at marathon pace so as not to fret over pacing on the monster hill on the way back home. 12 miler. Last long run before the Boston Marathon. I have been finding that I have a little more speed in my legs these days (woohoo!). I know that I have a great race in me I just need to keep my focus and not get sucked into the adrenaline and energy at the beginning of the race and go out too fast. This run was encouraging and now all that is left to do is to enjoy the experience and to run my own race! This weekend will be an incredible experience with a ton of fun stuff happening. If you want to follow marathon weekend fun I will be sharing a lot on my instagram so make sure that you are following my FEED for all of the Boston Marathon running fun and celebration! Track me on Boston Marathon Monday . . .
And . . . If you want to follow my race on Marathon Monday at the ‪Boston Marathon you can register for Boston Marathon live updates here. My BIB Number is : 30666 . There will be live tracking during the race so I’d love to have you following along! Last long run before the Boston Marathon completed with a smile! Thank you for reading along and supporting my training this far for the Boston Marathon! I can’t wait to tell you all about my race once it is done!!! 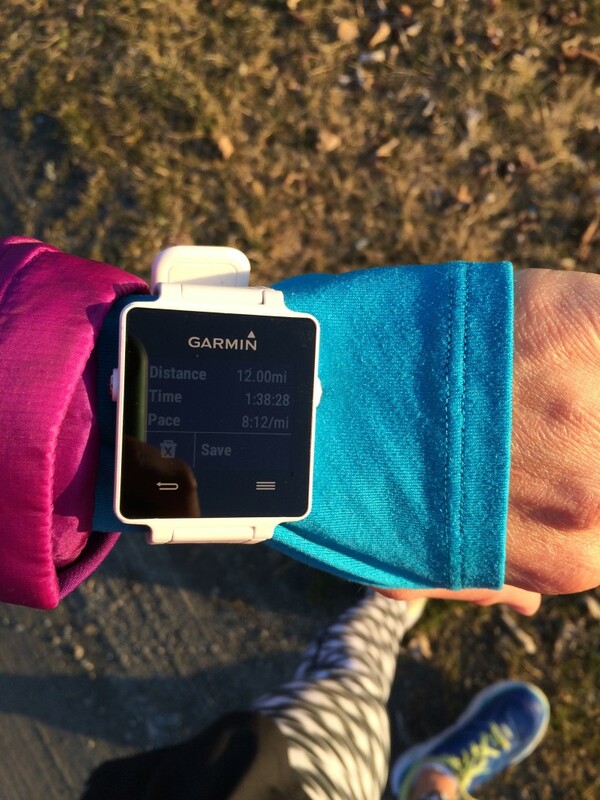 What is your favorite thing about training for a race? 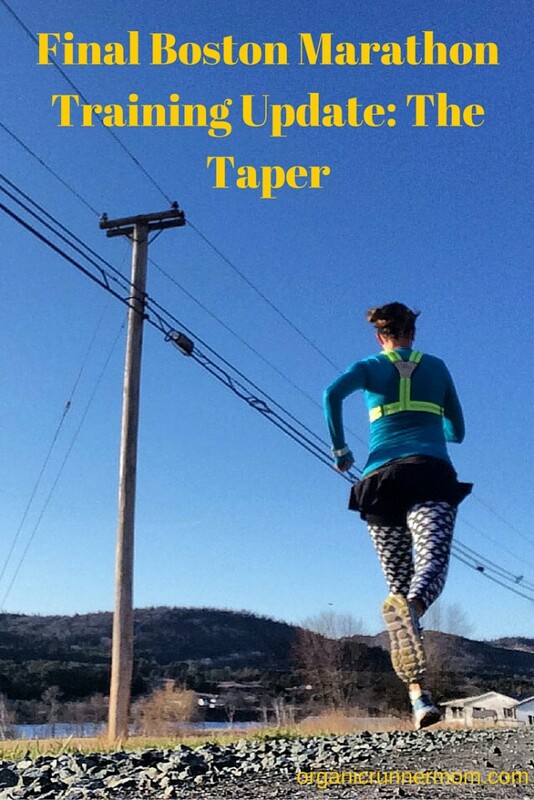 Do you enjoy the taper or does it make you crazy? And now I’ll just leave you with this sweet cow kiss from Patty Pie the Organic Cow who watched me as I ran by on my long run! 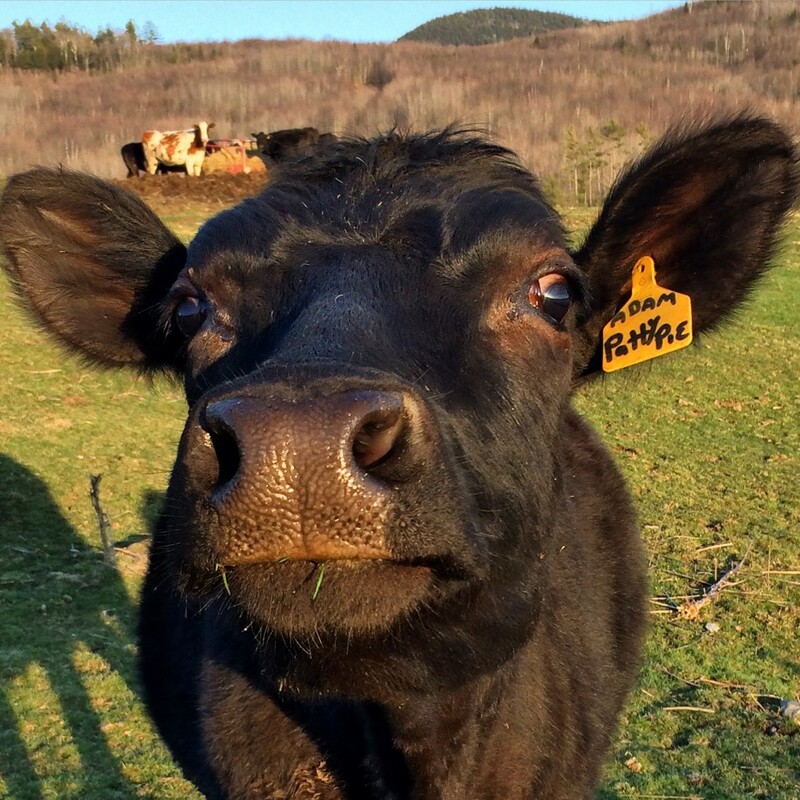 A Kiss from Patty Pie the organic cow. Seen on my run. WAHOOOOO!!! I’m so excited for you (can you tell?) and will be tracking you the whole way! Go get it mama!!!! Good luck and have a great time running in Boston!!! good luck! super excited for you! So excited for you! You have been killing training! Can’t wait to follow along! 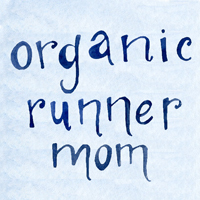 Smitha @ Running with SD Mom recently posted…Carlsbad 5000 All Day 20K Recap: In Pictures & a CONFESSION! Oh the taper! It will drive anyone crazy. Congrats on a great training cycle and good luck!!! I cannot wait to read your recap! Your training has been spot on. And those mile splits on your 12 miler tell the whole story. You are so ready! I’m so excited for you! And I love Pattie Pie — that face! Have fun in Boston! And how cute is Pattie Pie?! Hooray for the taper!!! 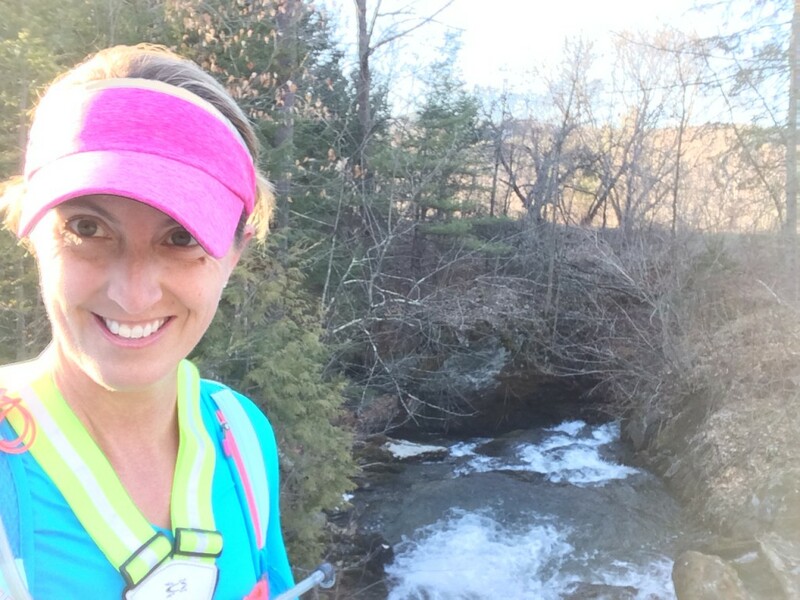 You killed it on the 12 mile last long run – woo hoo!! Can you believe we will be running Boston in one week?!! I have actually learned to embrace the taper. I owe it all to yoga. So excited for you Sandra!